Congratulations to Winter in the Blood for winning Best Director(s) (Andrew and Alex Smith) and Best Actor (Chaske Spencer) at the American Indian Film Festival. Congrats also to Ken White, Saginaw Grant, Julia Jones & Casey Camp for their nominations. Congrats to Clutter, which won Best Film at the Harlem International Film Festival! Congratulations to Winter in the Blood for winning the Grand Prize at the Montreal First Peoples Festival. Kitefliers Studios' Neil Gobioff and Shawn Paonessa just returned from an amazing trip to LA to attend the world premiere of Winter in the Blood at the LA Film Fest. The film was great, the audience loved it, and the reviews are coming in. Also, watch this space: the duo also got some work done, and rumors are stirring about some new projects! Don't forget to check our Facebook page (and like it while you're there) for super-quick updates as they unfold. 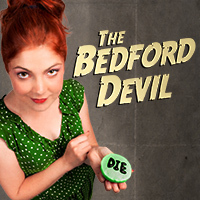 Congratulations to the cast and crew of The Bedford Devil, which won a Bronze Telly for Film and Television! Congratulations to Winter in the Blood, which will have its World Premiere at the LA Film Fest. 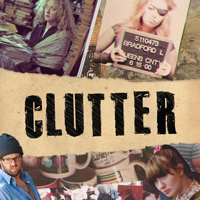 Congrats to Clutter, which will have it's world premiere at the Seattle International Film Festival! The Bedford Devil has an official home on the web. Check out the official site.